Exmouth Freemasons - Freemasonry in Exmouth, Devon, UK. Welcome to the home of several Masonic Degrees situated in Exmouth, Devon, UK. Exmouth Masonic Hall was opened in 1894 and has been the home of the Exmouth Masonic Lodges ever since. Previous to this The Sun Lodge first met in Exmouth in 1784, at various establishments in the town, until settling in our current home. The masonic hall is home to The Sun Lodge which is one of the Exmouth Craft Lodges; and has since grown to include two other Craft Lodges; The Rolle Lodge, and Per Mare Per Terram Lodge. Also being home to Amity Lodge of Mark Master Masons and Sun Chapter of the Royal Arch Masons – each of which provide an initial step beyond the Craft for Master Masons; these along with a further two other masonic orders, all meeting and working with like-mindedness. Together, these lodges and orders form the brotherhood of the Exmouth Freemasons, working together towards the common aim of serving the community through charity and example. 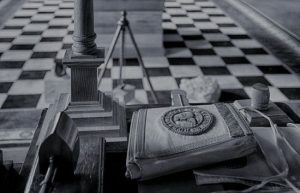 Through this website the Freemasons of Exmouth aim to share news and information with each other, with members from other lodges and with all who are considering a Masonic commitment and those who would like to know more about Freemasonry. Today, as throughout those 235 years since first being in Exmouth, the Exmouth Freemasons offer a friendly welcome, an enjoyable evening and continued companionship.